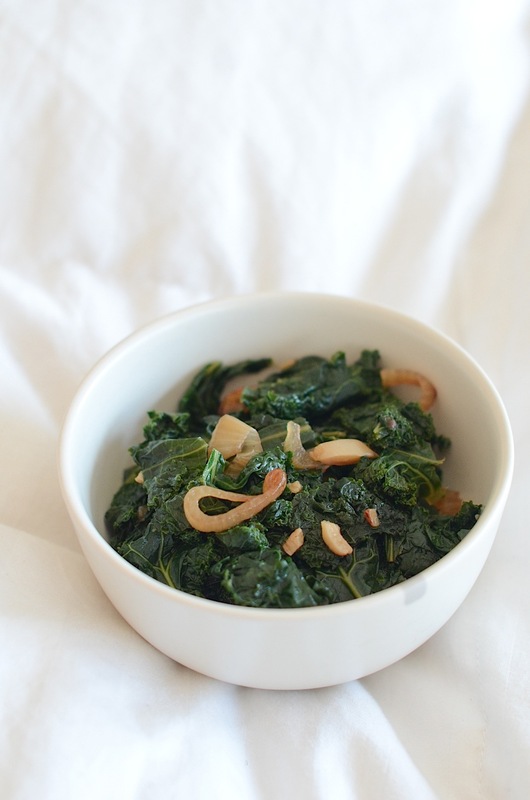 This Sautéed Kale with Garlic and Shallots Recipe was inspired by one of my favorite restaurants in NYC, Westville. I love Westville for their hefty vegetable servings. The kale dish is the one I order the most. I never asked what ingredients go into their recipe. But the Westville flavors are generally simple and fresh. My guess: kale, shallots, garlic, and a dash of soy sauce. I could be totally off, but the result of experimenting is the recipe in this post. A copycat recipe? Not sure. Delicious. Yes! Which Kale Should You Use? When developing this recipe, I first tried using dinosaur (lacinato) kale. I like dinosaur kale because it’s a little easier to clean and prep. But, the texture was way off. I knew Westville used curly kale, but…I was trying to take a short-cut. In my “test kitchen”, the curly kale absorbed the flavors much better and came out more tender. It could be a difference in preparation, but I thought I’d mention it. If you try the dinosaur kale with good results, let me know in a comment. Did I mention this recipe uses only 5 key ingredients? And if the 5 ingredients didn’t catch your interest, this recipe also cooks up pretty quickly. While I can be slow prepping and cleaning the kale, it really only takes about 15 minutes to cook. Not too shabby, eh? 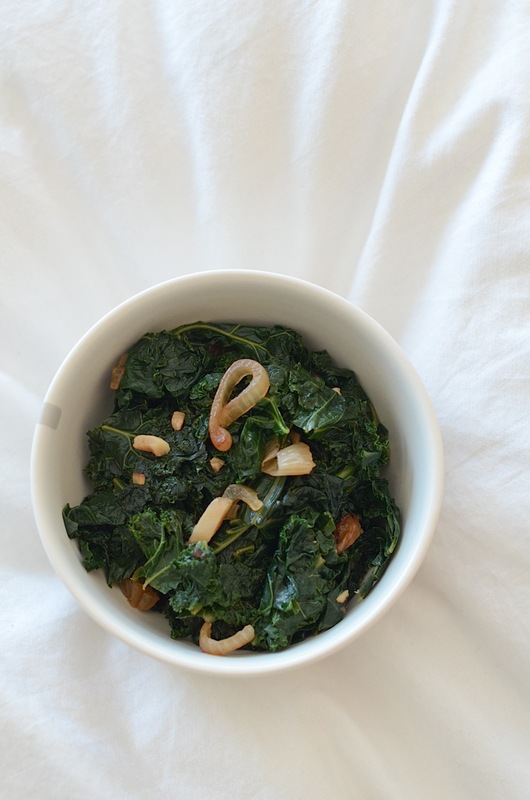 This Sautéed Kale with Garlic and Shallots Recipe goes great with a bigger dinner. Or you can have a simple lunch by pairing it with grilled cheese. This stores and re-heats very easily. If you avoid the microwave like me, I’d recommend tossing this with a little olive oil in a sauté pan on low to medium-low heat. Just till it’s warmed through. In the microwave, you should only need a minute or so, depending on how much you have left. 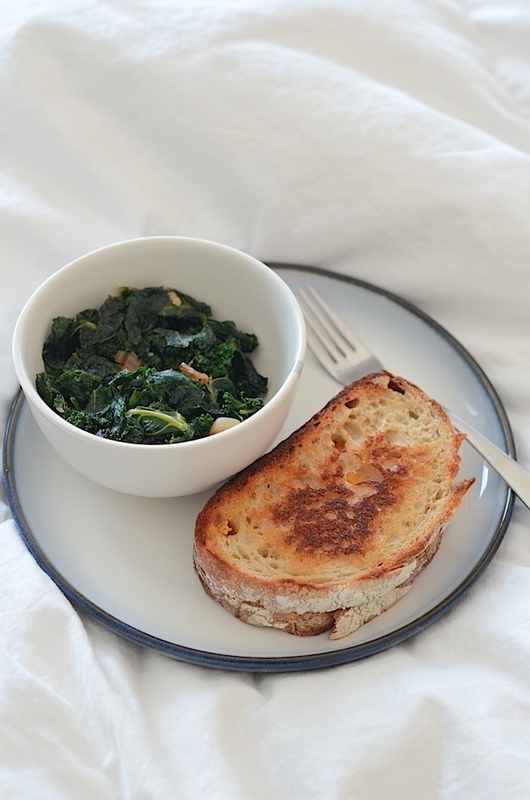 This simple Sautéed Kale with Garlic and Shallots Recipe was inspired by one of my favorite NYC restaurants, Westville. Simple and fresh, this recipe uses only 5 key ingredients and whips up pretty quickly. Pre-heat a large sauté pan over medium heat. Add olive oil and shallots. Sprinkle with a dash of salt. Cook, stirring frequently, until the shallots are softened and just starting to brown, about 4-6 minutes. Add garlic, stir, and cook for 60 seconds, until the garlic becomes fragrant. Add the kale and water and cover, stirring occasionally, until the kale has wilted and softened, about 8-10 minutes. Remove lid, stir in soy sauce and pepper. Taste test and add more soy sauce and pepper, if needed. I eat pretty large vegetable servings, so one normal-sized bunch of kale yielded enough kale for me to eat twice. If you serve smaller portions or use a bigger bunch of kale, you may be able to get more. 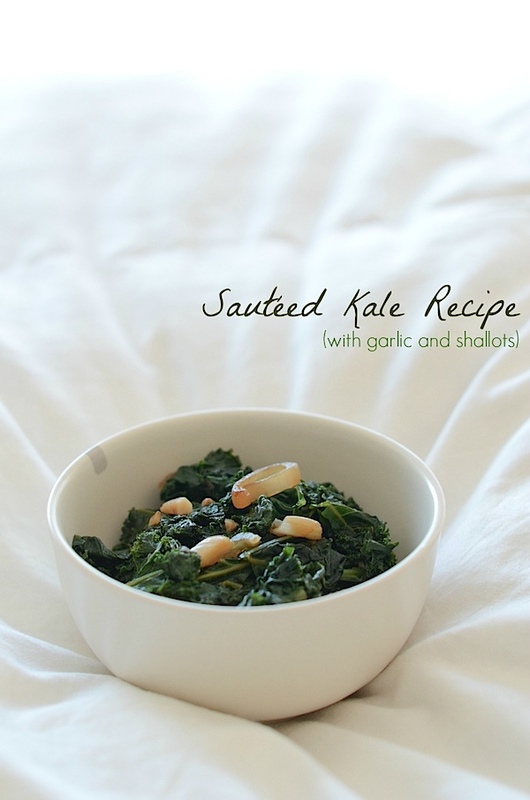 Kale tip: I used a normal sized bunch of kale for this recipe. If you use a smaller or larger bunch, you may want to adjust the other ingredients accordingly. I’ve seen pretty big differences in the size of kale bunches. Note: soy sauce is a pretty strong flavor. Be sure to start with less than you think you need and add more, as desired, in very small amounts. The intent of the soy sauce is to add a little salt and umami flavor for richness. But it should taste lightly of soy sauce and less like a veggie stir-fry. However, you should flavor your kale so it makes you happy. And I still think putting kale in your smoothie is the easiest way to eat it. Not sure how that works? Start here with my Green Monster 101 post. I’ll tell you all about it! 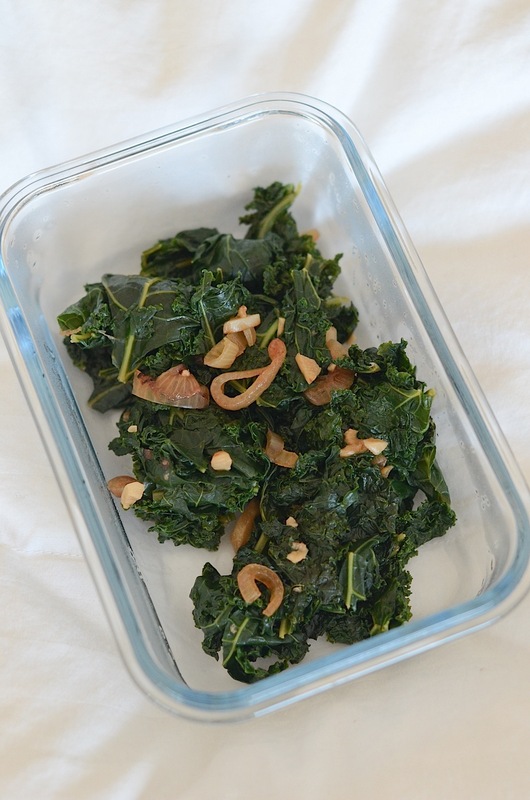 Hope you enjoy this Sautéed Kale with Garlic and Shallots Recipe.